You may be having those post-Derby blues, but fear not - there is plenty going on in and around Schnitzelburg that will keep the party going! Click here for the May SACC Newsletter. It is chocked full of fun stuff to do! Most notably, CycLOUvia is coming back to Schnitzelburg this Saturday!! CycLOUvia at Three Points last September! 2017’s first CycLOUvia, the popular event showcasing alternative transportation, is returning to Three Points—Germantown, Schnitzelburg, and Shelby Park—on Saturday, May 13 from 2 to 6 p.m. 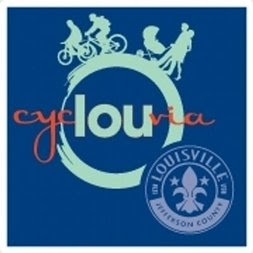 The upcoming installment of CycLOUvia will move in a circular route through the Germantown, Schnitzelburg and Shelby Park neighborhoods, also known as Three Points, via Goss Avenue, Logan Street and Shelby Street. Since 2012, CycLOUvia events have attracted tens of thousands of people to various neighborhoods across the city. 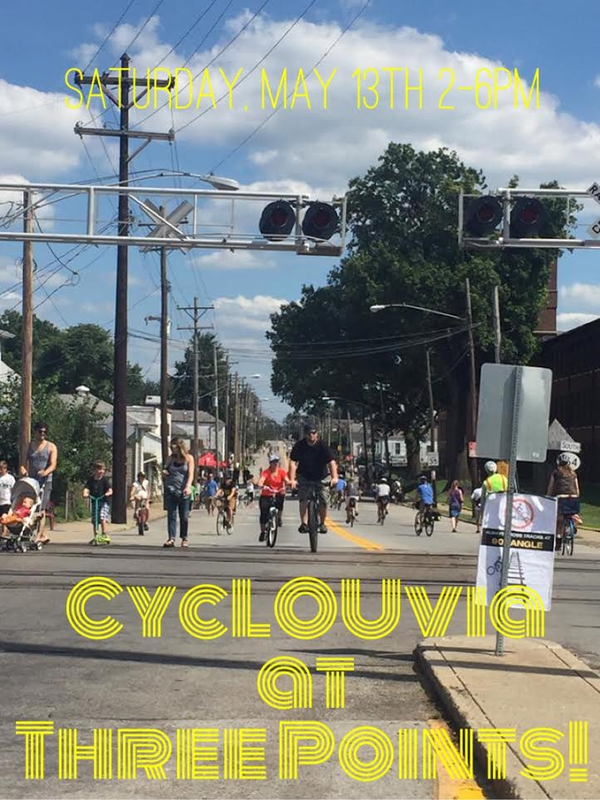 In addition to be part of the Mayor's Healthy Hometown Movement, CycLOUvia promotes healthy lifestyles, alternative transportation, bike/pedestrian safety and economic development. Along with CycLOUvia, Center for Neighborhood's Better Block will be happening in conjunction! The main purpose of Better Block is to engage and empower the neighborhood to plan and implement a positive changes and a community-focused event around their vision, connecting and creating new networks within neighborhoods. 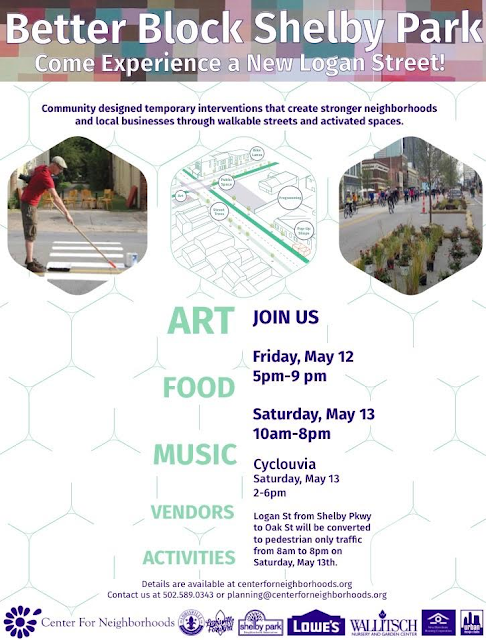 The event will feature street interventions for increased safety on Oak St. as well as activated corners on Logan and Oak Streets (like a stage for bands, and food trucks, and a turf-park with blow up furniture, and live murals!) This is all co-designed with Shelby Park Neighborhood Association, community members, and local businesses in Shelby Park including Idlewild Butterfly Farm, Great Flood Brewery, Falls City Community Bikeworks, JR Liquors, AA Tires, and more! We hope to see you out in the streets on Saturday! Please note: Goss Avenue from Texas down to Logan Street, Logan Street down to Mary Street, and Shelby Street from Mary to Logan will be closed to vehicular traffic from 1 pm to 6 pm. Logan Street will be closed from Mary Street to Shelby Parkway from 8 am to 10 pm. 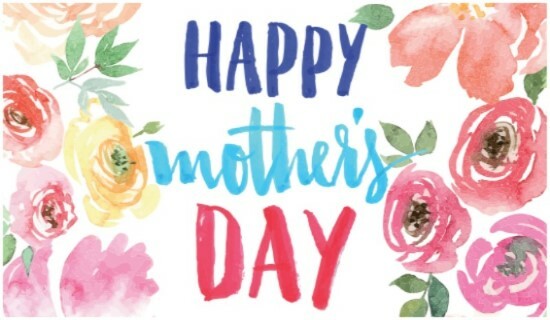 Also, don't forget that Mother's Day is this Sunday, May 14th! Plenty of places to take mom out to brunch, lunch of dinner in Schnitzelburg! Treat her with flowers or a massage! Check out the back page of the newsletter to find something that will make mom feel like a queen!